Roof Dimension: 3190mm x 2390mm. 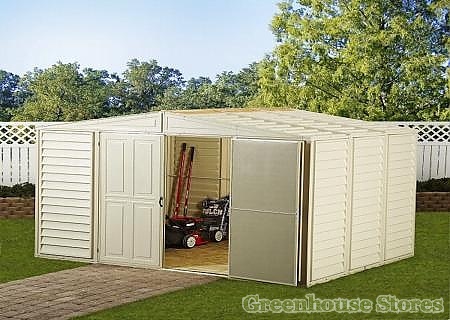 The Duramax 10x8 Woodbridge Plastic Shed is ideal for storing away your gardening tools, lawn mower and kids garden toys. 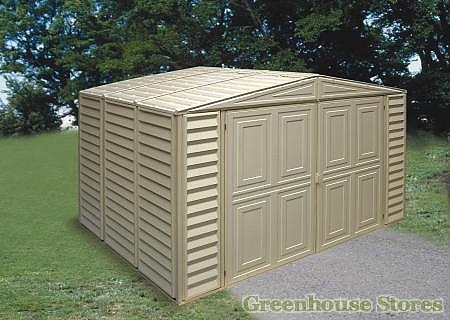 This big shed won’t rot, rust or discolour and is completely weatherproof. 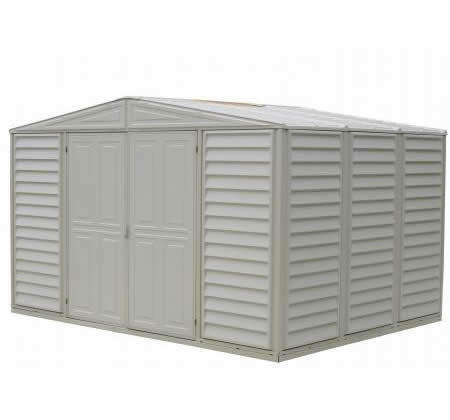 The 10 x 8 Woodbridge is built around a 635mm thick zinc coated galvanised steel frame which is then clad with high quality, fire retardant, fade-proof PVC plastic. 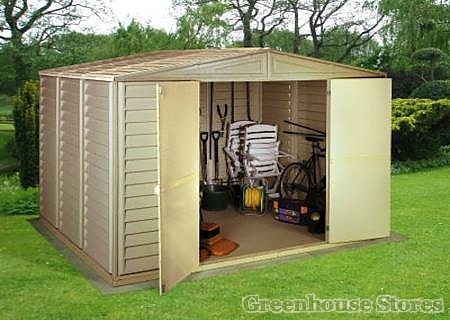 This shed won’t require any maintenance at all and won’t need painting or treating like a timber shed would. 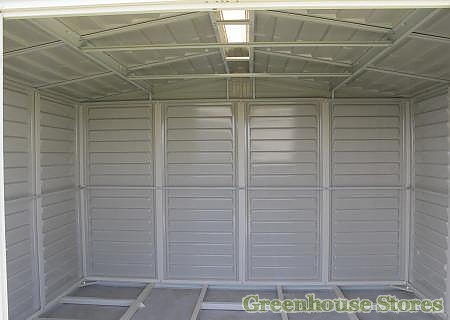 Duramax sheds are extremely easy to assemble and can be erected in a matter of hours if you follow the instructions provided. As with all Duramax sheds, there is a 10 Year Warranty against perforation rot on the Duramax 10x8 Woodbridge Plastic Shed.